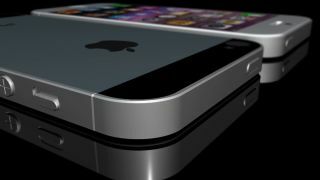 iPhone 5 to pack a dual-core processor? The new iPhone might shun the quad-core crowd in favour of a dual-core chip as its battery gets leaked, revealing only a minor capacity increase. Thanks to a "reliable" 9to5Mac source, the site has got hold of a couple of snaps reportedly showing off the battery which is set to feature inside the iPhone 5. According to the snaps, the capacity of the new iPhone battery will be 1,440mAh, only a small increase on the 1,430mAh pack found in the iPhone 4S – which itself only witnessed a 10mAh increase from the iPhone 4. However with the iPhone 4S, Apple did a lot of work with software optimisation, managing to squeeze much more out of the battery than the meagre upgrade suggested – and we'd expect the Cupertino-based firm to do the same with the iPhone 5. We've seen Apple's rivals such as the HTC One X and Samsung Galaxy S3 enter the fray this year with their quad core processors and 1,800mAh and 2,100mAh batteries respectively – both of which are considerably larger than the leaked iPhone battery. The new iPhone is heavily rumoured to sport a larger, 4-inch display, so that means more pixels to power for the battery and perhaps Apple is going to play it safe with a dual-core processor, instead of risking potential embarrassment with a quad-core offering. We expect the sixth generation iPhone to launch in September this year, although as usual Apple is keeping quite on details at the moment.